First Health Insurance Company is a subsidiary of Coventry Health Care and is based in San Diego, California. They offer a nationwide PPO network to serve the needs of clients who manage employee health benefits plans. The company currently serves over 3.5 million people throughout the United States. First Health prides itself on superior access to healthcare providers across the country at a reasonable rate. Compare rates from First Health to other health insurance providers in your area. Click here and enter your zip code for a list of rates from local health insurance providers. The First Health network began in California in 1984 and was known at the time as CCN Managed Care, Inc. The network quickly expanded beyond California in the following years. In 2001, the First Health Group acquired CCN Managed Care, and the name was changed to First Health Insurance. 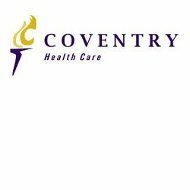 Coventry Health Care acquired First Health in 2005 as part of a plan to integrate several provider networks to create more flexibility for clients. This integration of networks was completed in 2008. If you would like to contact First Health for additional information, to file a claim, or to find out about providers in your area you can do so via the online contact form or via the following phone numbers. Customer service representatives are available to take your calls from 7am to 7pm, Monday through Friday, Central Standard Time. First Health offers health insurance products to clients with a variety of options to best meet the needs of their employees and their families. They claim to offer the largest nationwide PPO network of providers. With a PPO plan, you have the freedom to choose any provider you wish, but you can minimize expenses by selecting a provider that is in the First Health network. When you use a provider within the First Health Network you not only save yourself money, you gain several other advantages. Aside from only paying a co-pay, you also never have to fill out a claims form. All claims are filed for you. Additionally, since First Health receives contracted rates from providers, services cost less and the company can offer lower co-pays. Unlike most health insurance companies, most plans within the First Health PPO network do not require you to select a primary care physician. The company does recommend having one; however, because this doctor can be the keeper of all of your medical information, which helps when you have medical questions or need support in dealing with an illness or other medical issue. You will never have to fill out any claims forms with First Health, nor will you have to contact the company yourself when faced with an illness or injury. Instead, if you need to see a specialist, ask your primary doctor to refer you to one within the First Health Network. You do not have to do anything else. If you are admitted to a hospital in an emergency situation, you should have the hospital contact the First Health review organization that is listed on your insurance card within 24 hours of being admitted. Once again, you do not have to do anything else, allowing you to focus on your health and healing. Get health insurance quotes from companies like First Health in your local area. Simply click here and enter your zip code for a free list of health insurance quotes. Just got off the phone seeing about get personal insurance. When my husband died, I was kicked off his work insurance. Gut feeling hit when I am told if I don’t give card info I would lose price. Even tho it wasn’t to start until Dec 3rd, weeks from now. Told her to call back tomorrow. I have to crunch numbers since I’m on a fixed income. I looked up reviews and see my gut feeling was warranted. Let’s see if she call me back tomorrow like I said to her. Just tried to buy insurance from them and almost signed up when I sensed it was a scam. Cancelled my credit card because I realized that no legitimate business could have such an arrogant, aggressive idiot working for them. This aggressive, miserable human being named Alex insulted and bullied me into buying insurance. After his tirade, I just said, “No thank you.” He had the nerve to rail at me for wasting his time. Then I found these reviews. Stay away from these bottom feeding scavengers! I then told him no and I still wanted to cancel. He told me he would cancel one part of the plan and he would have to transfer me to First Health Liberty to cancel the medical part. I was then transferred to Frontier Communications, which has nothing to do with healthcare. I called back and spoke with someone who transferred me to the correct company. Even if I decided to reconsider them, they ruined it with the horrible customer service they offered me. What a nightmare! If you’re reading this please take my advice and DO NOT give your number, email address, or home address to these vultures. I have been harassed for the past 3 days. It has been so annoying that I unplugged my landline for about 5 hours today just so I wouldn’t have to deal with these people! I don’t understand why acquiring health insurance has to be such a foggy, confusing, and frustrating process. The whole ordeal feels sleazy. I was smooth talked into signing up for a policy with First Health by a rep named Richard Parkinson. I later found out that this was a made up name and the “personal number and extension” he gave to me to call him back should I need to cancel, was also made up. He also told me that with this insurance policy, my son and I could still continue seeing our same doctors. Called my son’s pediatrician, they’ve never even heard of ‘First Health’ and they don’t accept it! The customer service number was the only truthful information he provided. I’ve called them 4 times now to cancel. I gave the customer service 2 stars because although 2 of them were nice, they are all difficult to understand and seemed incompetent. They repeat themselves and say things that don’t even make sense. It’s confusing and extremely frustrating. I was an idiot and gave these people my card info. I just hope that the last gentleman that I spoke with was truthful with his word on cancelling my policy and sending me a confirmation email of that cancellation. Don’t do it. I should have asked if money was required up front and now. I was not given the opportunity to speak with my husband. Mark insisted that the plan would not be offered if I didn’t give payment now or I would not offered the plan in the future. I gave all 1 start because I was never given the opportunity to check any of what was said to me was true.